As I’ve shared a few times recently I am trying so hard to decrease my calorie and fat intake. This is hard for me. I love food. I love pasta, rice, and all things delicious. Spaghetti is a meal that we love. Everyone will eat it. Today I am going to share with you an easy spaghetti recipe using spaghetti squash instead of noodles. 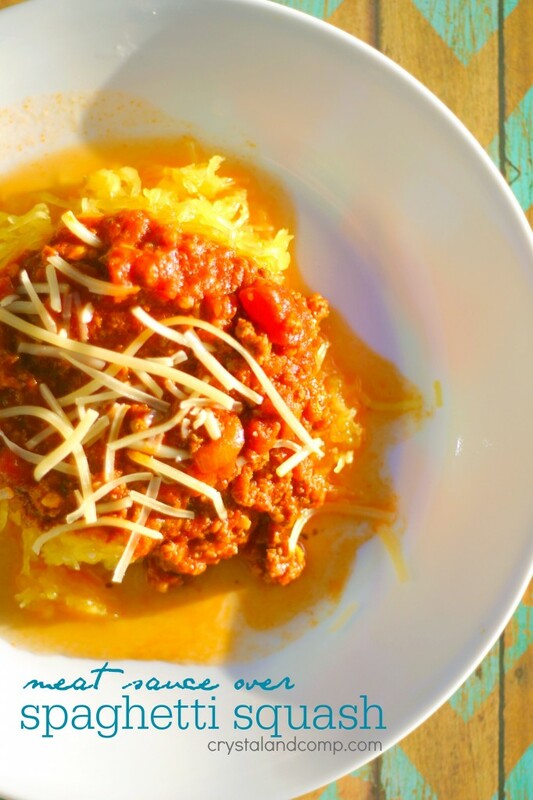 Let me show you how easy this healthy spin on spaghetti is! 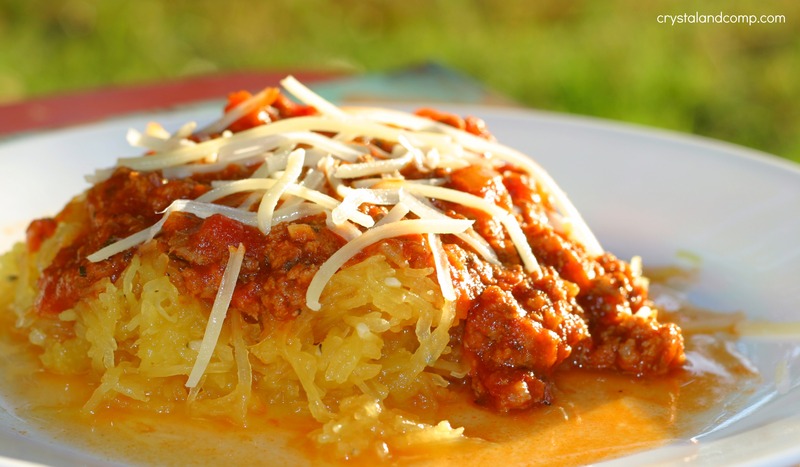 Cut the spaghetti squash in half, length-wise. Scrape out the seeds. Keep them, by setting them aside, if you want to toast them later. 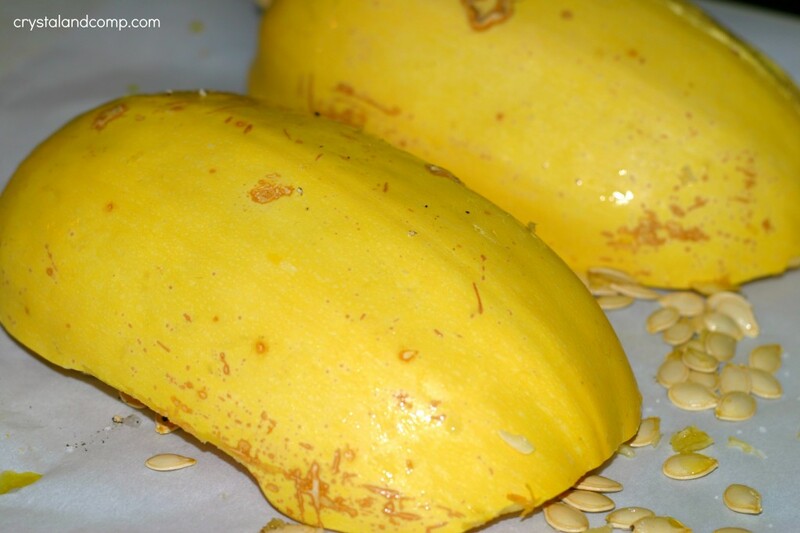 Drizzle half of a tablespoon of olive oil over each squash half. Use your hands to spread and coat it evenly. 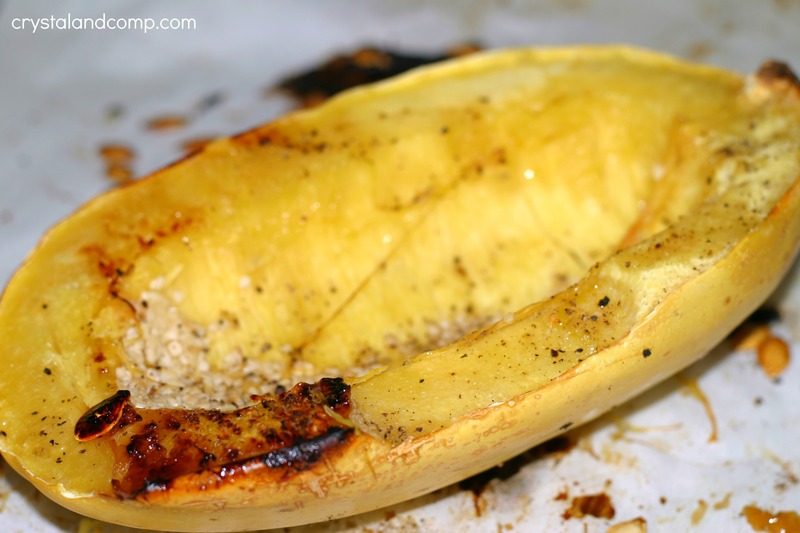 Divide the minced garlic in half and rub it on each squash half. 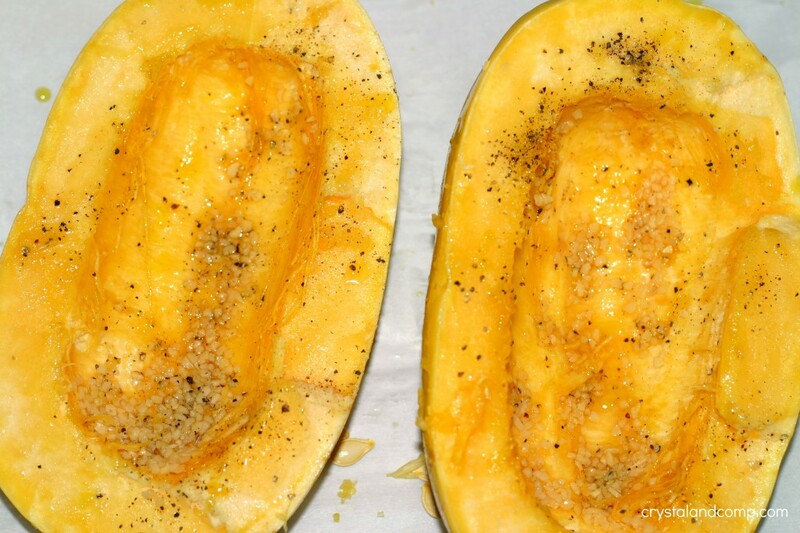 Sprinkle each squash half with salt and pepper. Turn the squash halves upside down on a cookie sheet covered in parchment paper (for easy cleanup). Bake at 400 degrees for about 30 minutes or at 350 for 45 minutes. When you take them out of the oven carefully slip them over. Careful, there will be steam. 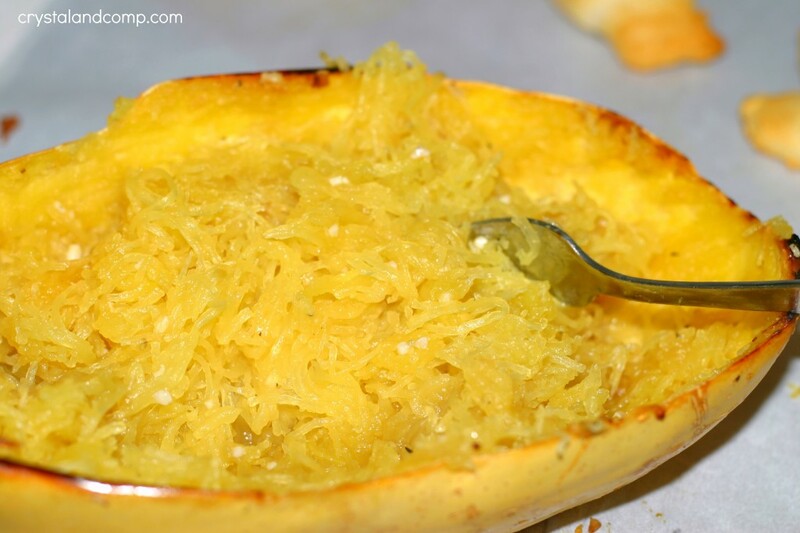 Use a fork to scrape the squash and it pulls off in strings just like pasta. If it does not look done, pop it back in the oven for another 10 minutes or so. I love these noodles. They are the perfect combination of savory sweet. Serve my Quick Spaghetti Recipe over the noodles. Top with a bit of Parmesan cheese if you want. My kids, for the most part, still want pasta. My husband eats half real pasta and half spaghetti squash pasta with his helping. I devour this. I save any the next day as leftovers for lunch. Yum!